The first signs of impending breakdown in machinery typically include tiny changes in vibration that warn of excessive wear in the bearings upon which efficient functioning depends. Left unheeded – because they are notoriously hard to detect – these subtle rumbles lead to energy wastage, under-performance and costly inefficiency as slow-motion failure sets in. Ultimately, if still undetected, the deterioration progresses to full-scale breakdown, with downtime, lost production and often hazardous removal and replacement of the offending parts deep in the heart of vital process machinery. The best cure is prevention, of course – and that is where condition monitoring, a service offered by global technology company Schaeffler, comes into play. On the topic of condition monitoring, CBC Engineering Manager Anthony O’Keefe makes an interesting analogy about human health and machine health. Condition monitoring is defined quite literally in its name. It’s the monitoring of machines while they are still running – a check on their condition or health. There are several different methods of condition monitoring, but these can be broken down into two main categories: offline and online collection of data, which are followed by analysis and recommended actions. As we approach Industry 4.0, many businesses are adopting ‘real-time’ maintenance strategies as a bridging point to predictive maintenance and automation. 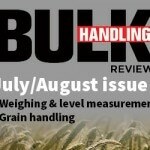 This is evidenced by the boom that the condition monitoring equipment market is experiencing. According to a market research report published by P&S Intelligence, the machine condition monitoring equipment market is expected to reach $3.2 billion globally by 2023. “Choosing what type of condition monitoring system depends on the needs of the client and how critical certain equipment is to their operations,” says Anthony. “At CBC, we will sit down with a customer to find out what their specific needs are and then recommend a certain system and ancillary products. Once we determine the criticality of the machines in a production process, we will recommend a system that will work best for them,” Anthony says. In case where there is a critical need for live and continuous condition monitoring, they would recommend an online system. For example, if a production assembly line was reliant on all components functioning properly and if one of those components failed it would cost thousands of dollars per minute in downtime, an online system would be essential. In this kind of scenario Anthony would recommend the Schaeffler SmartCheck for data collection, as well as Schaeffler’s online condition monitoring services. 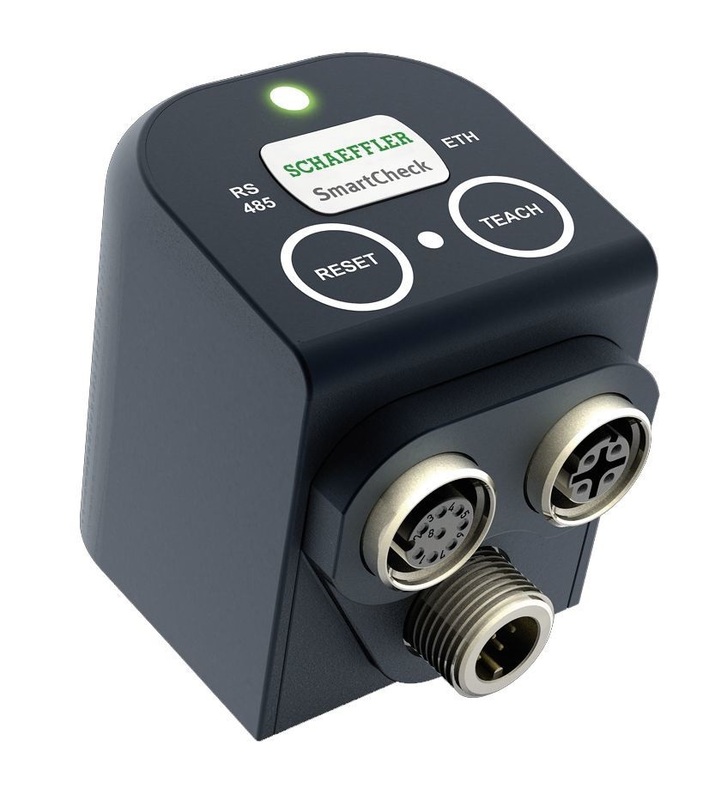 “SmartCheck brings a new dimension to intelligent machine monitoring, being highly compact, easy to use and with an unbeatable price-performance ratio. It comes out of the box ready to go, with its own internet address, built-in software and unique combination of high functionality and low cost,” says Schaeffler Australia Pty Ltd Industrial Services Manager, Mr Mark Ciechanowicz. The latest generation of the SmartCheck diagnostic system now represents a further step forward for Schaeffler. In addition to identifying the threat of bearing damage, wear, and irregularities such as imbalance and misalignments based on vibration pattern changes, this system also features a cloud connection. The system creates an automated diagnosis in the cloud from the raw data supplied by the SmartCheck and from additional data, e.g. from the machine control system. Thanks to condition monitoring, we only need to maintain the machine based on its actual condition,” explains Anthony. “The other way it saves money and is highly beneficial is that engineers can schedule their maintenance at a convenient time – one that doesn’t interfere with production time. Rather than the machine reaching a point where it will break down, maintenance can be scheduled when the machine shows signs that it needs a service.” Besides the cost savings, there is also safety benefits to having a condition monitoring system in place. It saves engineers having to go out to a site that is potentially hazardous to fix a machine and it can also prevent problems on a machine itself when components start to fail and fall apart. © Prime Creative Media 2019 | All rights reserved.